Total rewards statements can help summarize the value of all the compensation, benefits, extra perks, retirement contributions, continuing education, etc. – each personalized with the employee’s specific information in a nice 1 page summary. Are you looking for a way to communicate the value your organization invests in employee benefits, as an extra way to let your employees know they are appreciated for the work they do? Many benefits go unnoticed and overlooked, but with a total rewards statement you can bring everything together in a simple 1-page statement, personalized for each employee to show the value of all their compensation and benefits – from base pay, overtime, bonuses, to health benefits, insurance, stock and any extra perks specific to your company like tuition reimbursement, company parties, continuing education and more. Everything is linked together through the employee ID, and you can copy and paste your employee data into the specified tabs/pages, which will link to the statement. • Employee General Data Page – This page consists of the general compensation data, base pay, bonuses received and time off value estimates. • Employee Benefits Data – Here you will enter or copy/paste the employee ID, name and benefit amounts for the different benefits they have received – including medical, dental, vision insurance, flexible spending accounts, insurance benefits and retirement benefits. 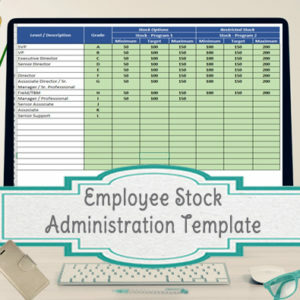 • Employee Stock Data page – Here you can enter up to 2 different stock programs. You can name the program here, so it will appear on the statement, so if an employee is not eligible you can leave it blank in their cell. For example, 1 employee could have ‘Stock Options’ as their stock plan 1, and ‘Restricted Stock’ as their stock plan 2, with the amounts you set. • Extra Perks page – Here you can enter up to 5 different ‘perk’ names, and associated values. The perk names can be different for each employee, so if a small group is eligible/ has received Tuition Reimbursement, you would name that as a perk for them, but leave it blank or list another perk for those who didn’t receive it. 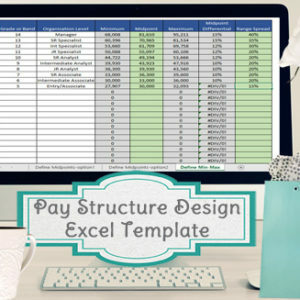 After all the data is filled out in these pages, you will just go to the Statement tab and change out the employee ID – the rest of the amounts/program names and the 2 charts will update with each new employee ID. 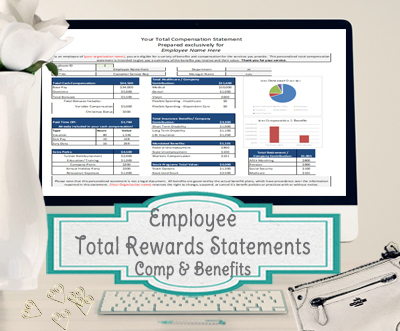 The 1 page total rewards statement can be saved as a PDF to distribute to employees by printing or email. 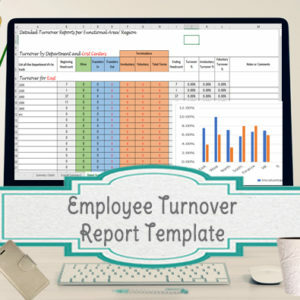 The template is set up to work for up to 1,000 employees, however it generates 1 report at a time, which must be saved as a PDF or printed. So for each report, you just need to change out the employee ID, and then either print or save the page as a PDF. Directions are included on how to save each statement as a PDF. 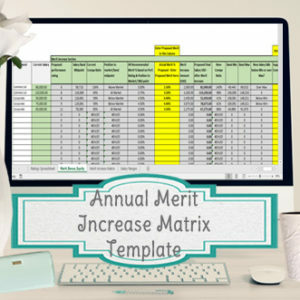 You will receive an Excel spreadsheet, along with PDF directions via email. The directions will guide you through how to fill out the worksheet, as well as how to generate and save each statement as a PDF. Each purchase comes personalized with the company name of your choice. All templates are to be used by the company bought for only and are not to be distributed outside the organization.